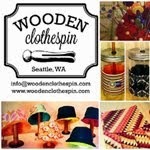 Handmade RAIN of Western WA: Buy Seattle-made, in person! If you're in the Seattle area, there are two upcoming opportunities to buy Seattle-made craft items from members of EtsyRain in person. 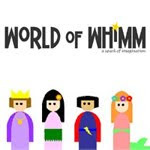 The first event is tomorrow, October 18th, at the Women's University Club Holiday Show. This is located at 1105 Sixth Avenue, and runs from 9:30 a.m.-3:00 p.m. The only EtsyRain member I know for certain will be there is Kelly of Tomato Tomato, but there will be other crafters there as well. 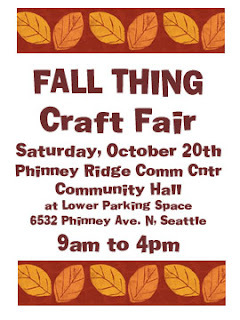 The second event is Saturday, October 20th, at the Phinney Ridge Community Center. 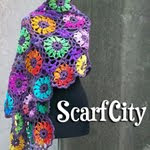 Dubbed the "Fall Thing," this event will be attended by MANY EtsyRain crafters. There will be a nice selection of different styles and mediums. 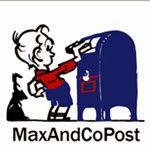 This event runs from 9:00 a.m.-4:00 p.m., and the location is 6532 Phinney Ave. N (Phinney Ridge area). Yay! I can't wait to see everyone. Sounds like we took over this whole she-bang! Let's all make tons of MONEY! Happy birthday to our very own Ugly Baby! 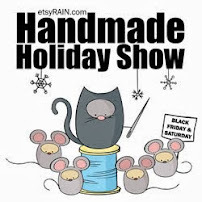 Welcome to the EtsyRain Blog!